My seven year old daughter, Hannah and her younger brother, Jacob love watching the popular television show, Winx Club which airs on Nickelodeon. Therefore, they were very excited to learn that Winx Club: The Complete Original First Season has just been released on DVD! 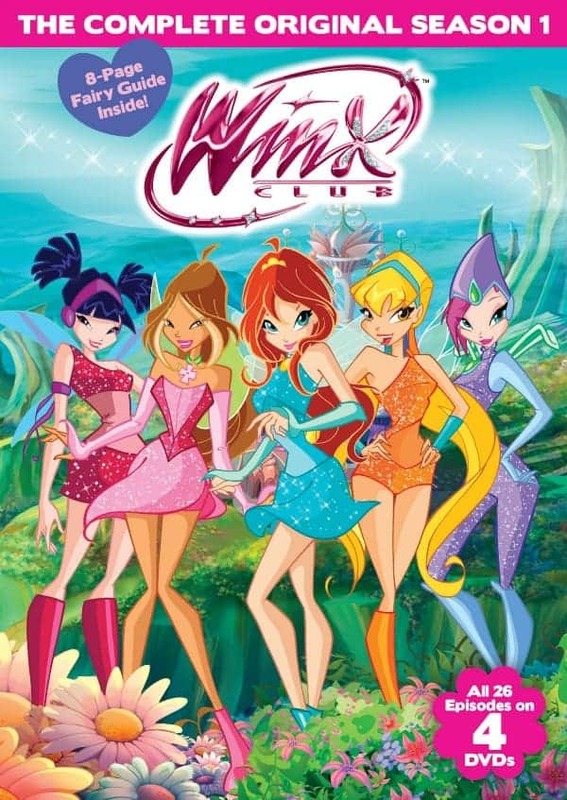 Winx Club features six stylish fairies who are best friends that love fashion named Bloom, Stella, Flora, Musa, Tecna and Aisha. It takes place in the mythical Magical Dimension and on Earth as they fairy friends must fight against dark forces as they go on many adventures. They battle against villains as they try to save the world from evil intentions while Bloom (a lead character) tries to unlock the secrets of her past after learning that she has fairy powers. Each of the fairies have a unique, magical power that they can use to protect and do good deeds on Earth and in the Magical Dimension. Hannah was so excited that this 4 DVD compilation includes all 26 episodes from the 1st season of the Winx Club. She enjoys watching the episodes one at a time in order and appreciates that this show is packed with exciting adventures and interesting characters that she finds very appealing. I like that the focus and theme of this show is on friendship, loyalty, strong female characters and the importance of good versus evil. I am also very particular about the shows that I allow my children to watch and while this one does address good vs. evil it does not have any overtly scary or frightening scenes and ultimately good always triumphs. My daughter also liked reading the 8 page Fairy Identity Booklet that comes inside of this DVD set. You can receive the entire 4 DVD set of Winx Club: The Complete Original First Season for the SRP of only $24.95 and can be purchased at Amazon! This is one DVD set that my daughter is sure to watch and enjoy many times over the coming years….it has been a big hit in our home! You can also visit the Winx Club website to learn more about this popular children’s television show, play games, watch video clips and more. This sounds great. Hopefully it will come to Australia one day.